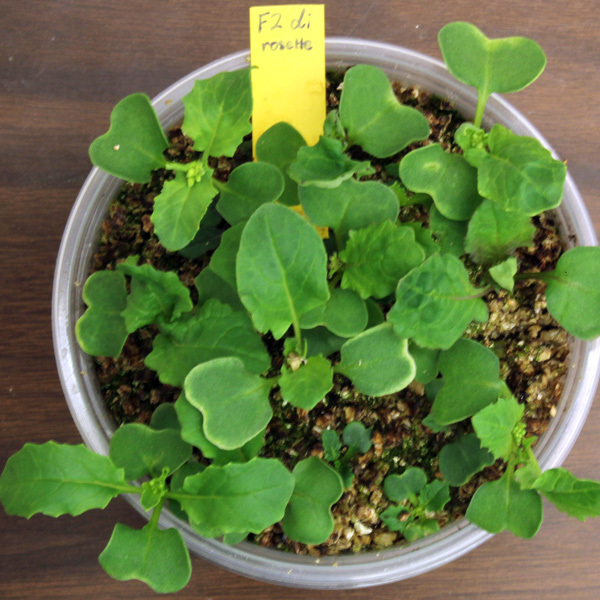 F2 Rosette-Dwarf variety of Wisconsin Fast Plants is the offspring generation of intermating the F1 Rosette-Dwarf. 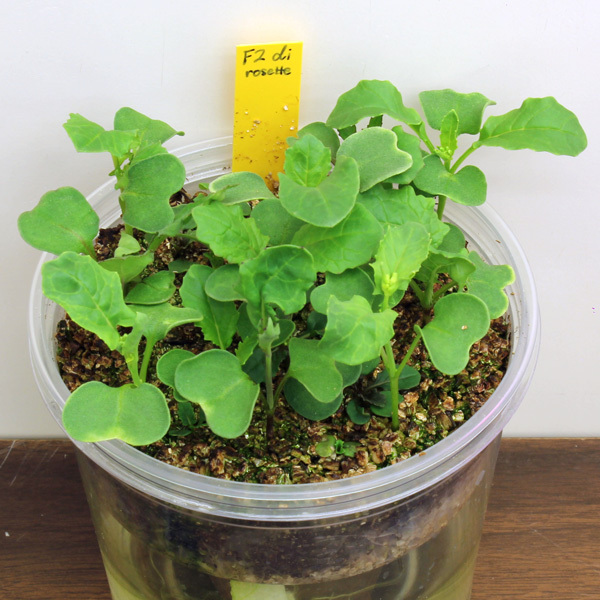 This stock (along with its F1 parental generation) demonstrates a two-gene inheritance model that is representative of Mendel’s findings. 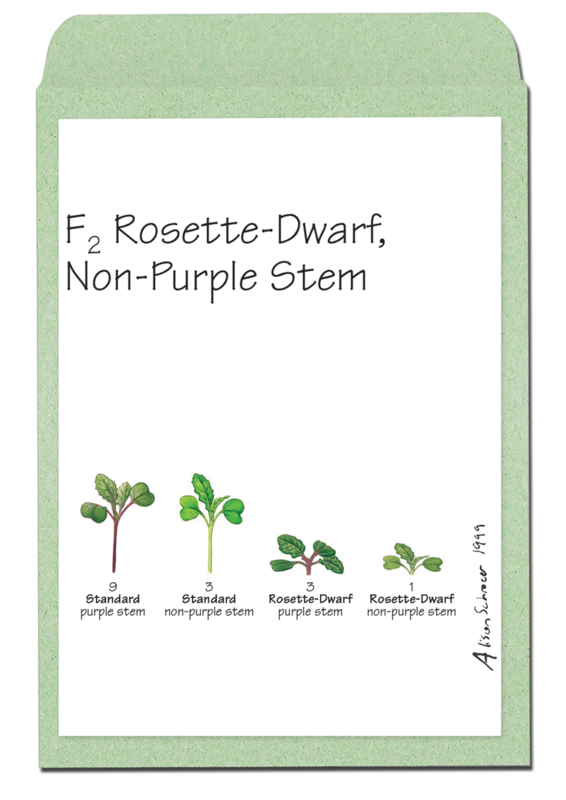 F2 Rosette-Dwarf, Non-Purple Stem stock produces plants that show dihybrid segregation of normal height : dwarf plants and Purple Stem : Non-Purple Stem. 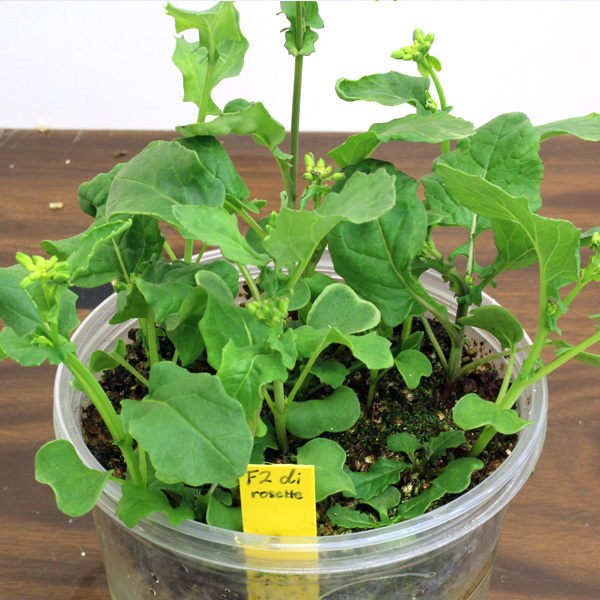 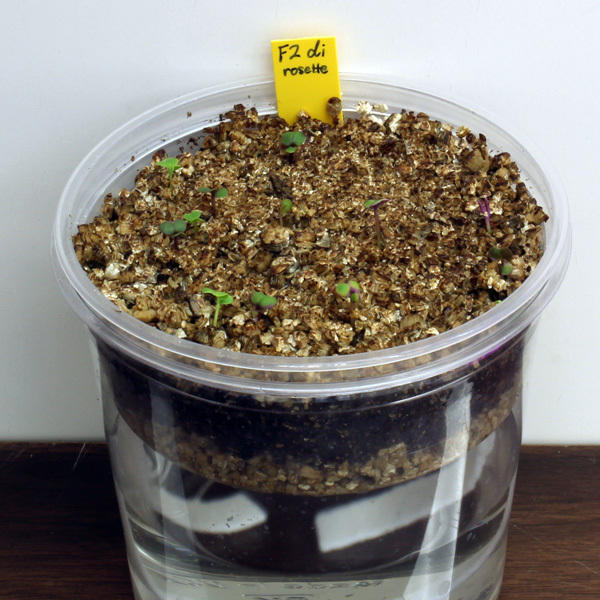 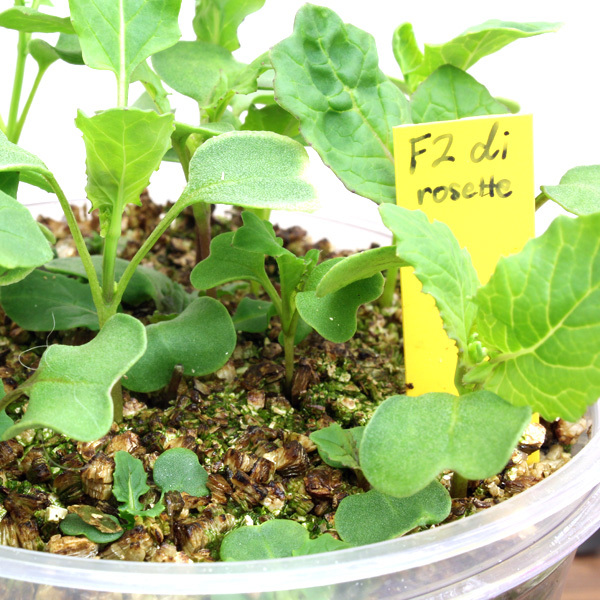 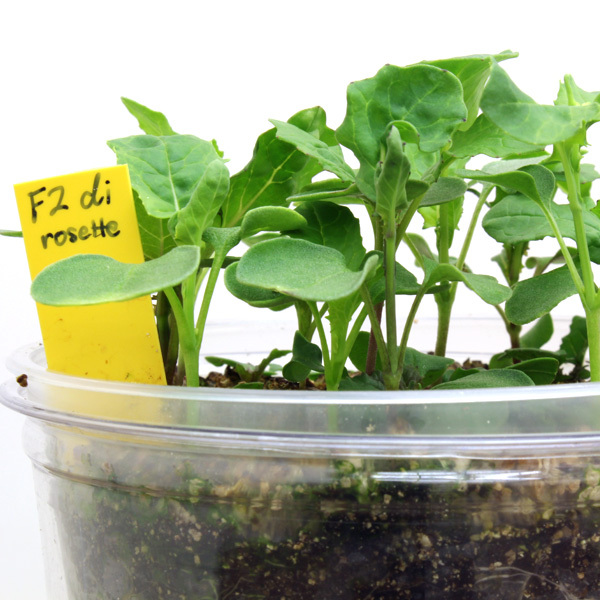 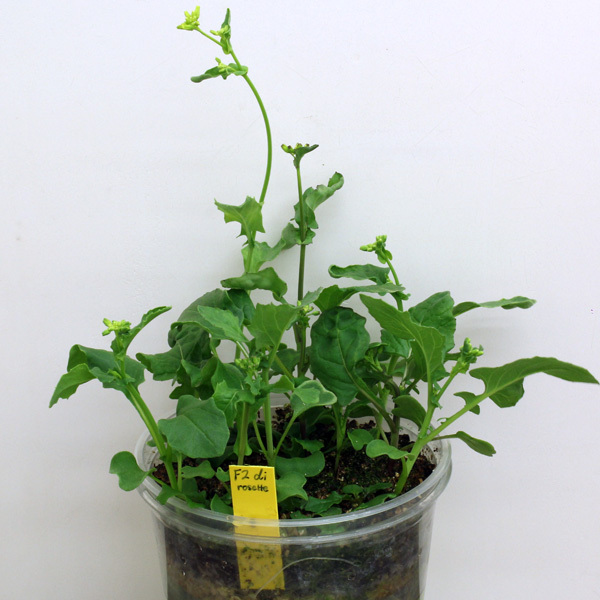 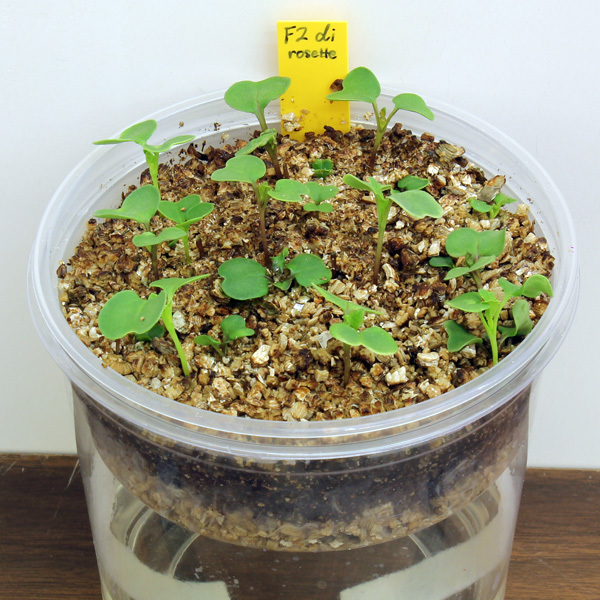 This F2 Rosette-Dwarf, Non-Purple Stem stock can either be grown in potting mix through their life-cycles or germinated on paper towels and observed at 72-96 hours for phenotypes. 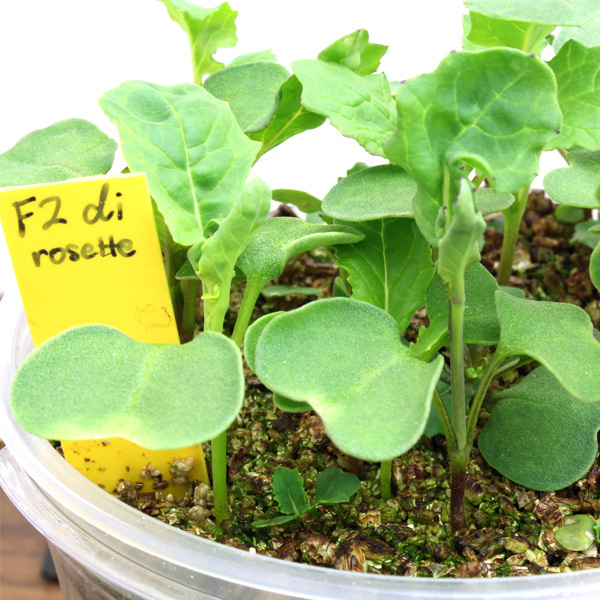 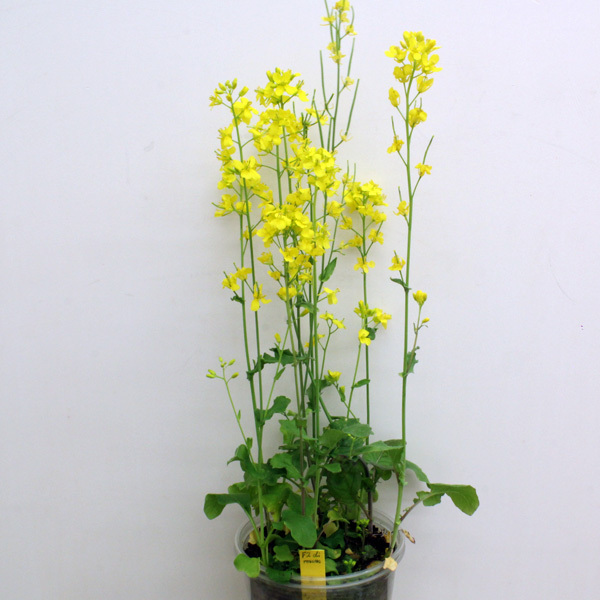 Genetics: Inheritance studies, using both the F1 and F2 Rosette-Dwarf varieties to investigate two-gene inheritance patterns.